A new challenge is up at the Cardz 4 Galz challenge blog today and this time we are trying new things. 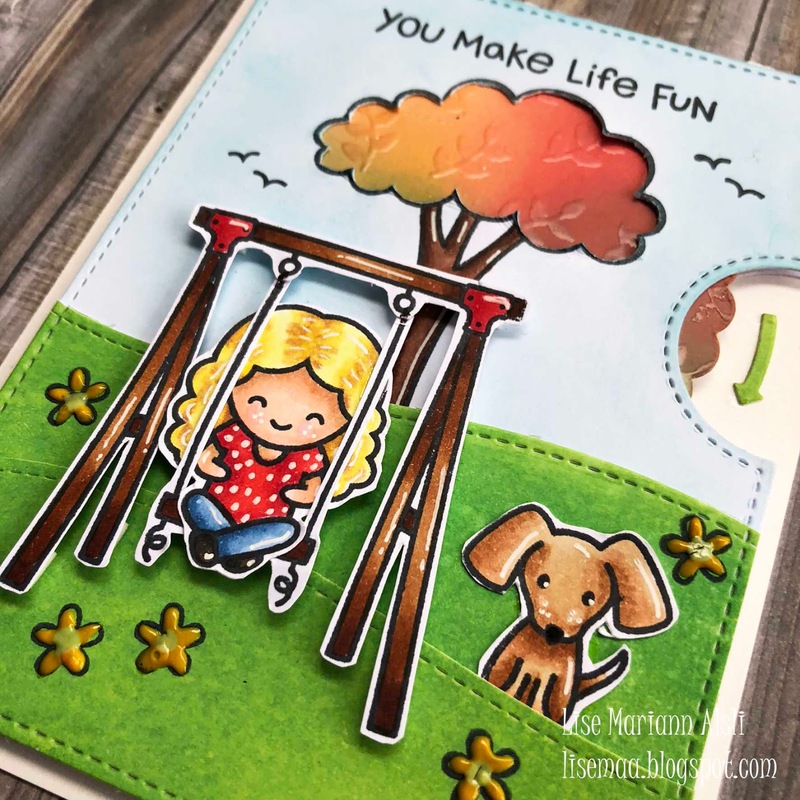 New stamps or dies or paints or techniques or theme. You choose your new thing. 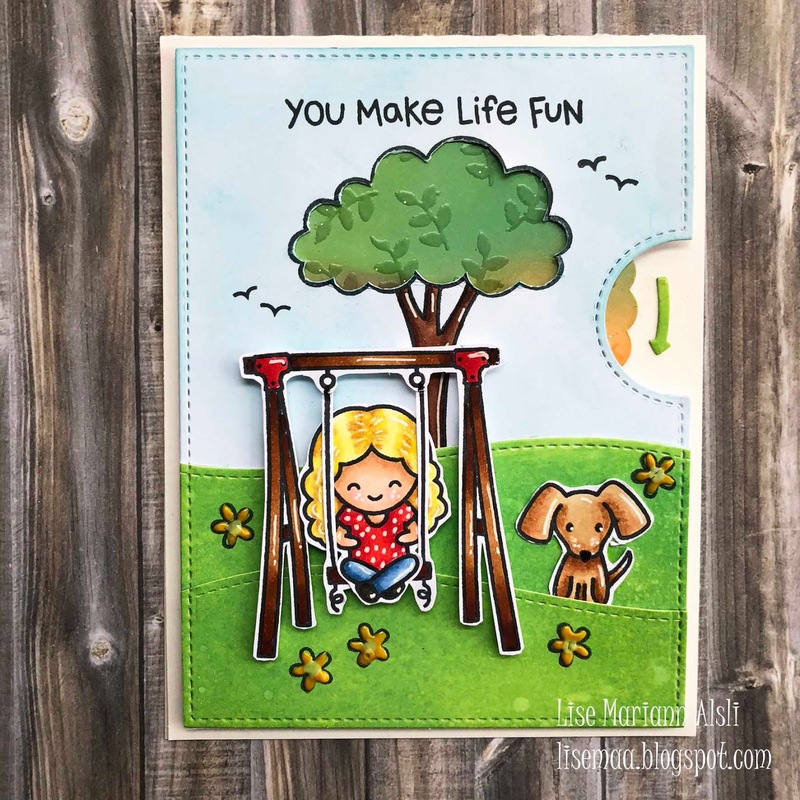 I have chosen to try my new die set "Reveal wheel" from Lawn Fawn. 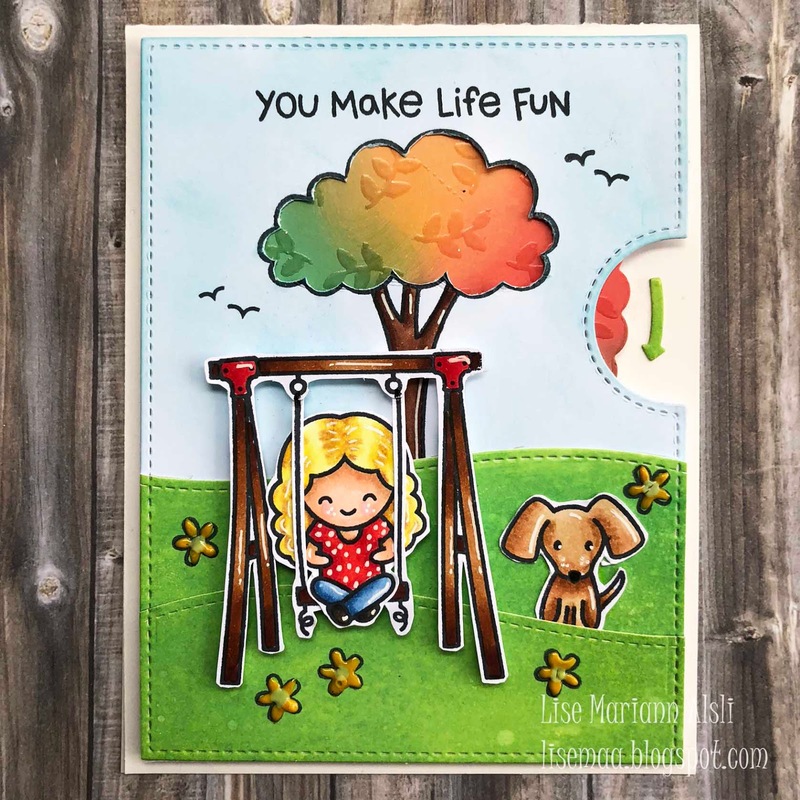 And since I already had this great stamp set with the tree in front of me ("Let's play" by lawn Fawn), because of my previous make, I figured that I could make use of the tree once again. I started with the making of the reveal wheel mechanism and once I had that in place I started making the scene. The frass and the sky and the inside of the tree is all colored using distress oxcide inks. I also embossed a tiny branch with leafs many times on the wheel using clear embossing powder. 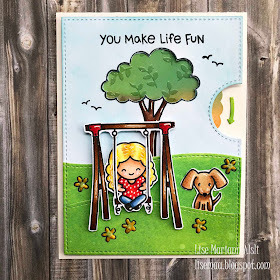 I colored and fussy cut more elements from the same stamp set as the tree and used the girl from the new "Screen time" stamp set also from lawn Fawn. The images are all colored using Copic markers and highlighted with a white gel pen. To make the flowers on the grass pop a little I colored them using yellow and white Nuvo drops. To finish the card I stamped a couple of birds from the Lawn Fawn "Happy village" stamp set and stamped the sentiment from the "Let's play" stamp set. I then mounted the whole scene on a white card base and revealed summer turning to fall. I hope you will try something new over the next couple of weeks. We look forward to seeing you at Cardz 4 Galz. 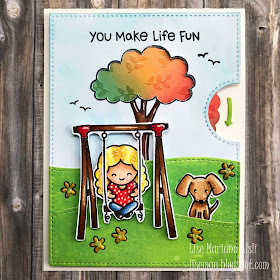 I love this card-just wonderful and so creative! Thank you so much for entering our challenge at The Crafter’s Cafe. Looking forward to see you again next challenge. Leave a trace. Thank you for visiting my blog.